Viatrovych reacts to statement of Polish Culture Ministry: Impressive "competence"
Chairman of the Ukrainian Institute of National Memory Volodymyr Viatrovych commented on the last statement of Poland’s Deputy Minister of Culture Jaroslaw Sellin, in which he called UINP a non-governmental organization, and its leader "an irresponsible person with obtrusive anti-Polish ideas." Viatrovych wrote his comment on a Facebook page. "Polish Deputy Minister of Culture is sure that the Ukrainian Institute of National Memory is a public organization: “It's strange tghat Ukraine assigned such an important question to a non-governmental organization, the Ukrainian analogue of the IPN (National Memory Institute of Poland), "he wrote. "Impressive "competence" of Polish partners is the key to effective cooperation with them," Viatrovych said. As it was reported earlier Kyiv entrusted to lead historical negotiations with Warsaw to Ukrainian Institute of National Memory - an organization headed by "an irresponsible person with obtrusive anti-Polish ideas" (Volodymyr Viatrovych). said Poland’s Deputy Minister of Culture Jaroslaw Sellin Monday, commenting on accusations against the Minister of Culture and Deputy Prime Minister Piotr Glinski, who during his recent visit to Ukraine "did not dare" to light candles on the graves of the victims of the Ukrainian Insurgent Army (UPA). 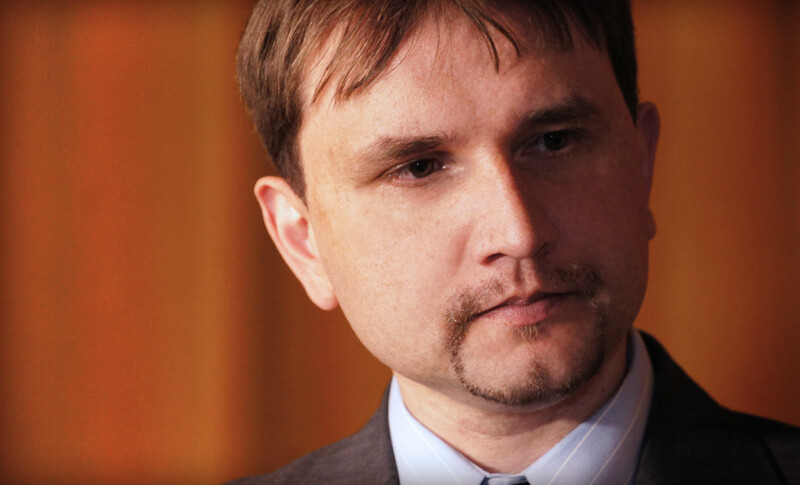 Deputy Prime Minister Glinski visited Ukraine in late October. After a meeting with Ukrainian authorities, he said that Poland wants to take negotiations with Ukraine on exhumation and historical monuments to a higher political level. The Ukrainian side allegedly did not agree with such a decision, arguing that the potential of the existing mechanisms is not exhausted, and such issues are solved by the Institute of National Memory and the National Commission of the Ministry of Culture.